We are proud to continue a tradition of maintaining low administrative costs while focusing on making New York better. 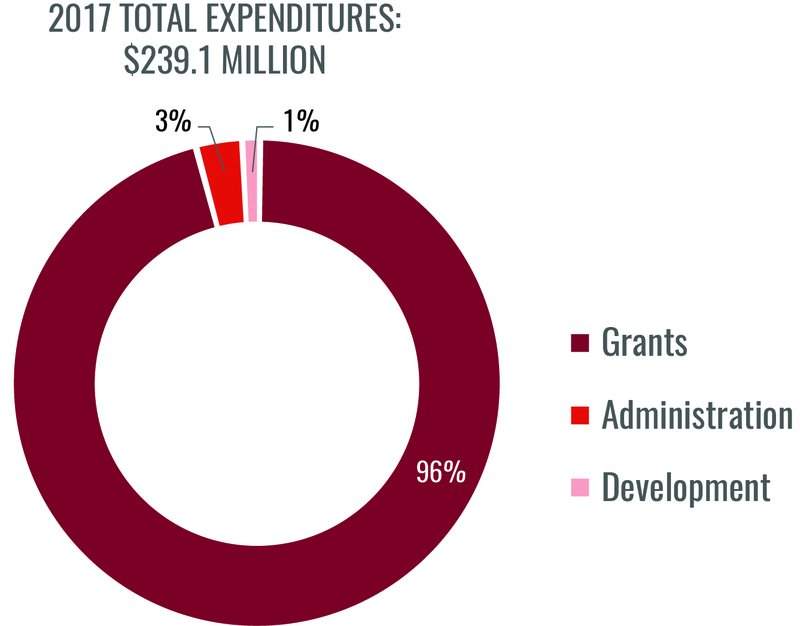 This chart shows what we spend on our grants program, administration, and development (as of our most recent audit, for 2017 expenditures). See a complete copy of our Form 990 on Guidestar, or contact us and we will mail a copy to you. The 990-T is also available upon request.